The right Add-in can turn Excel into Real Time Sensor Data Acquisition Software - Robert Owen Inc. 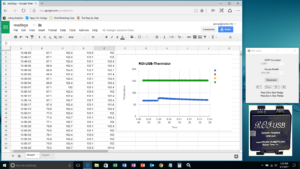 The ROI-USB Excel Add-in, turns Excel into a real time sensor data acquisition program. Sensor data is taken from senor conditioners by Excel, sample rate, conditioner setting, data scaling are all under the control of Excel, via Excel macro. A Windows PC with a Excel installed and with any Robert Owen A-D installed, e.g. ROI-USB, is all that is needed; to start monitoring your sensors or analog signals, using a simple keyboard wedge. ← Did you know that you can send temperature sensor data directly into spreadsheets?